Note the differences in positioning of all the silver wording and also the size of the catalogue number – the left hand copy has a larger PMC 1255 compared to the right hand copy. The perimeter text on the left is lighter in weight than the bolder text on the right. 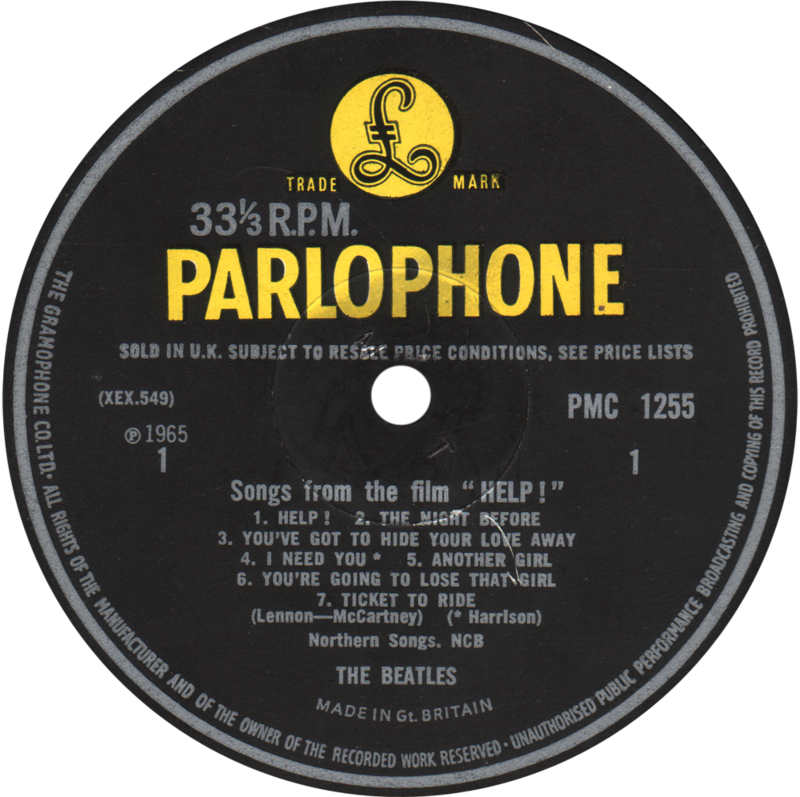 “THE BEATLES” appears above the publishing credit on the left hand label, whilst the right hand label has this below the publishing credit. The first 7 releases in 1969 on the newly formed Harvest label all had to carry the text “SOLD IN THE U.K. SUBJECT TO RESALE PRICE CONDITIONS, SEE PRICE LISTS” on the labels. 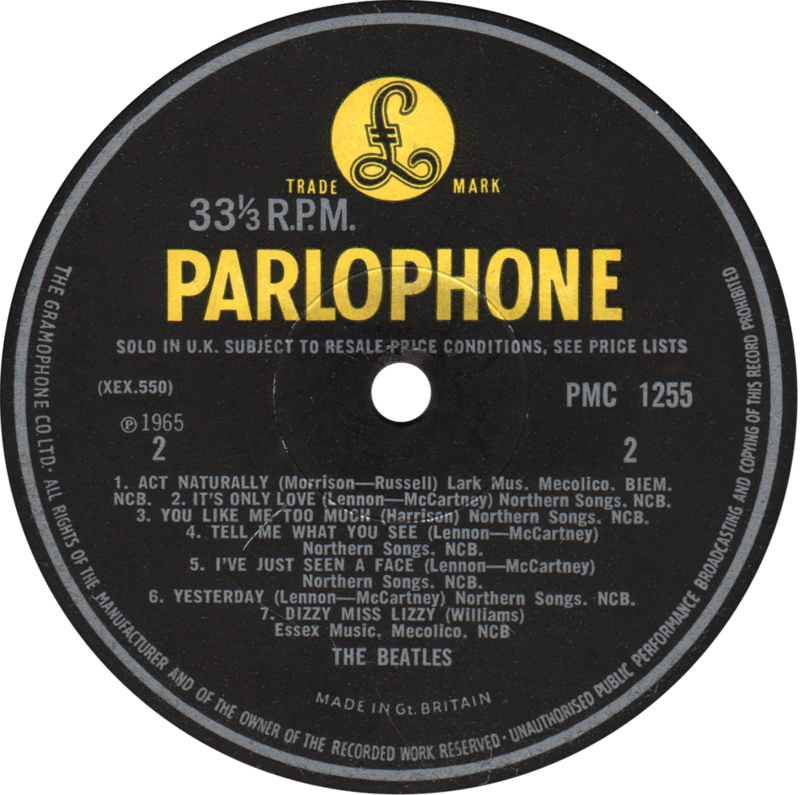 This had been introduced by EMI in early 1964 (and featured on all EMI owned labels, e.g. 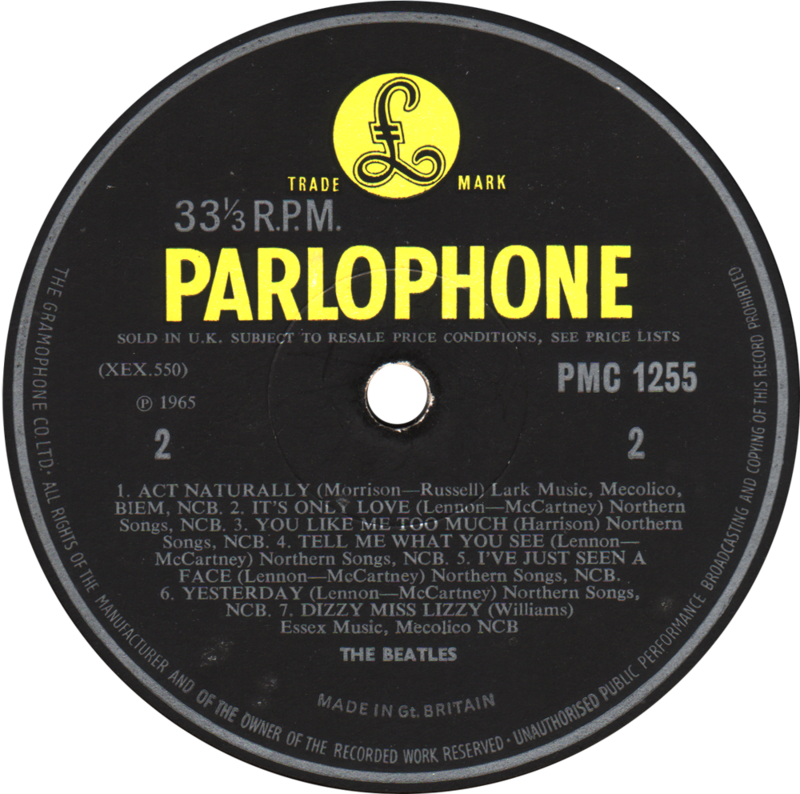 Parlophone) and was phased out towards the end of 1969. It’s one of the easiest ways to spot a UK 1st pressing on these first 7 Harvest releases. 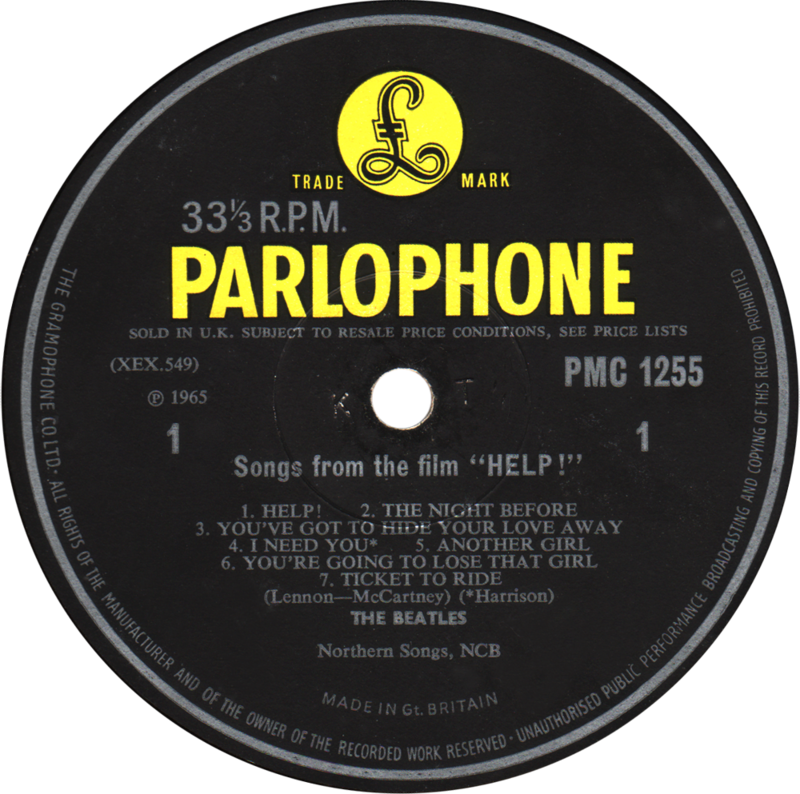 Without this text (but still with ‘THE GRAMOPHONE CO. LTD’ on the label) the record is a 2nd pressing. Click the labels above to go to each album’s individual page and compare these to the 2nd press labels (where available) and see the sleeve details.